Kees Neggers' technical expertise, leadership and coordination activities have made him one of the key figures in the development of the Internet in the Netherlands and around the world. 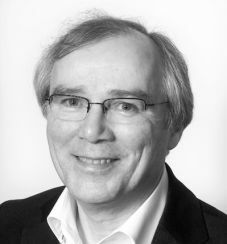 He joined the world of international Research and Education networking in 1984 when he became the European Academic Research Network (EARN) Director for the Netherlands. From 1988 until his retirement in 2012 he was Managing Director of SURFnet, the Dutch National Research & Education Network organization. He was initiator, Board Member and driving force of several organizations that are key players in the administration of the Internet. He has always been a strong advocate for the principles of open, inclusive and bottom-up industry self-regulation. These very principles still guide the organizations like Réseaux Associés pour la Recherche Européenne/Trans-European Research & Education Networking Association (RARE/TERENA), Réseaux IP Européens Network Coordination Centre (RIPE NCC), Internet Society, Amsterdam Internet Exchange (AMS-IX) and Global Lambda Integrated Facility (GLIF) that he co-founded and developed for many years. In 1991, Mr. Neggers was leading the effort to create Ebone, the first European Internet Provider (IP) backbone, based on the concept of Open Exchanges. This was done in parallel to the official standards. IP turned out soon to be the superior solution and this finally settled the 'protocol wars' and paved the way for a commercial introduction of the Internet in Europe. With SURFnet he pushed the envelope again in 2001, introducing 10 Gbit/s IP networking directly over 10G DWDM optical waves and starting the NetherLight Open Lightpath Exchange in Amsterdam. In 2002, Neggers became “ICT Personality of the Year” in the Netherlands and in 2012 he was appointed Officer in the Order of Orange-Nassau.